I was in a thrift store to pick up another item, and spotted this rocking chair on my way out. No way was I leaving it behind. I'm not sure when the chair was manufactured, but I'll call it vintage. 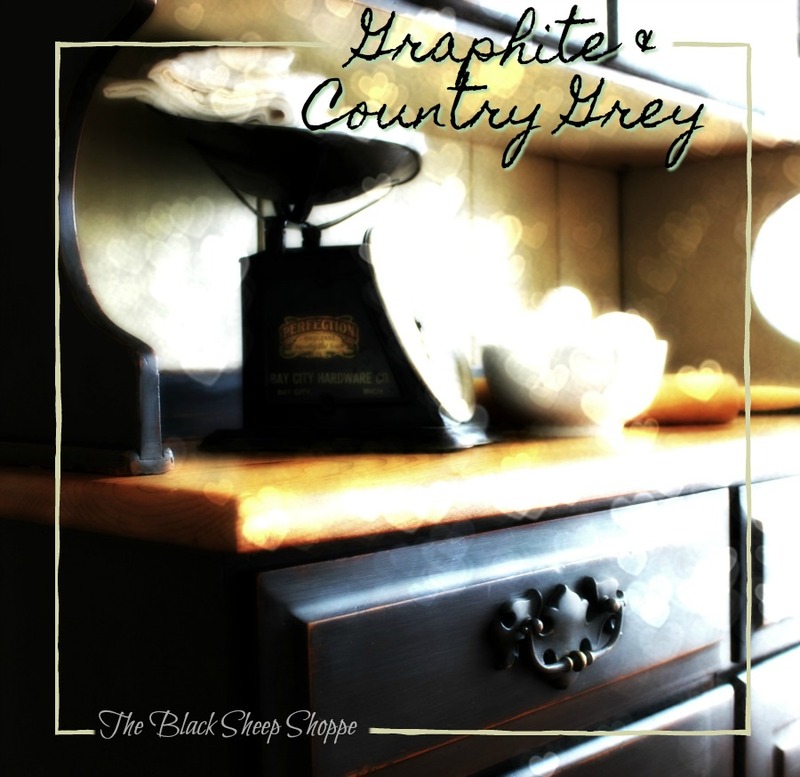 It has an American Colonial style. 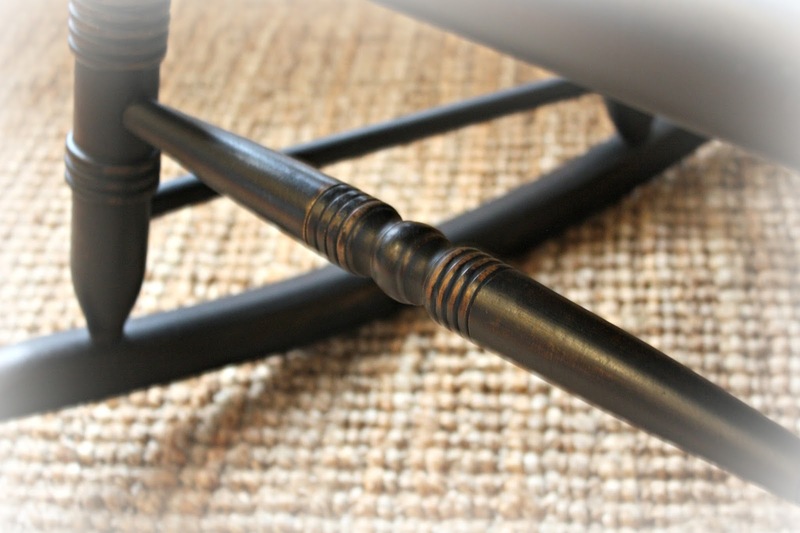 The chair itself is sturdy, but there was damage to the finish. I could not locate the name of the manufacturer, but there is a sticker affixed underneath the seat that reads, "Wayside Inn". 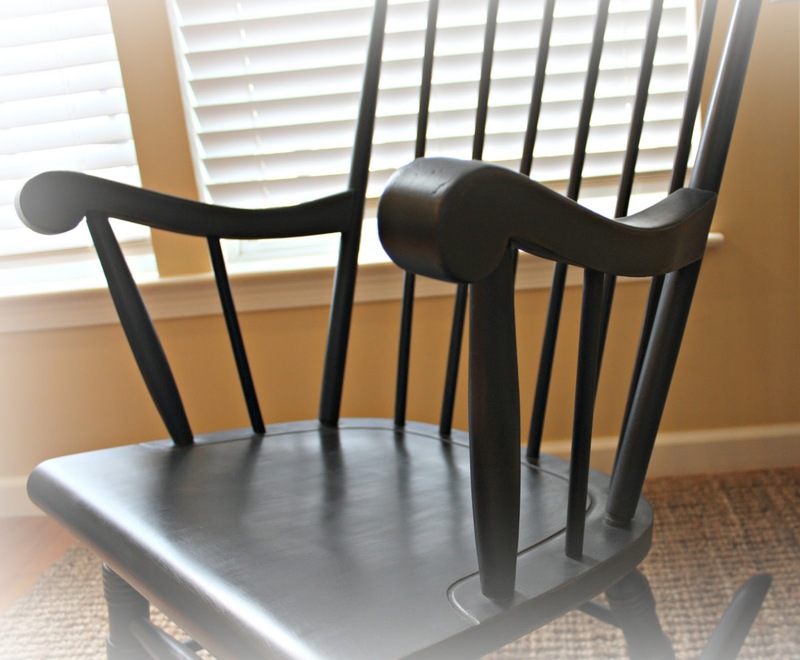 The label underneath the chair seat reads, "Wayside Inn". 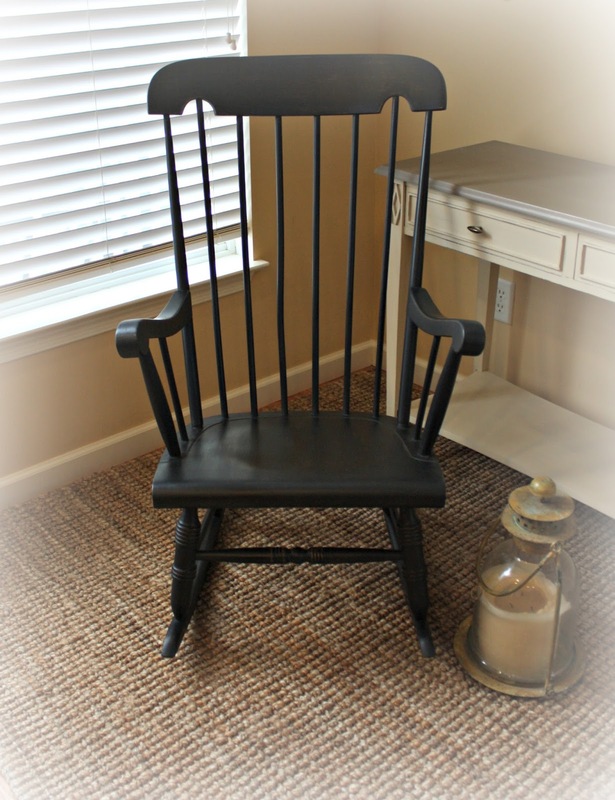 I painted the chair in two coats of Graphite and applied a coat of black wax. 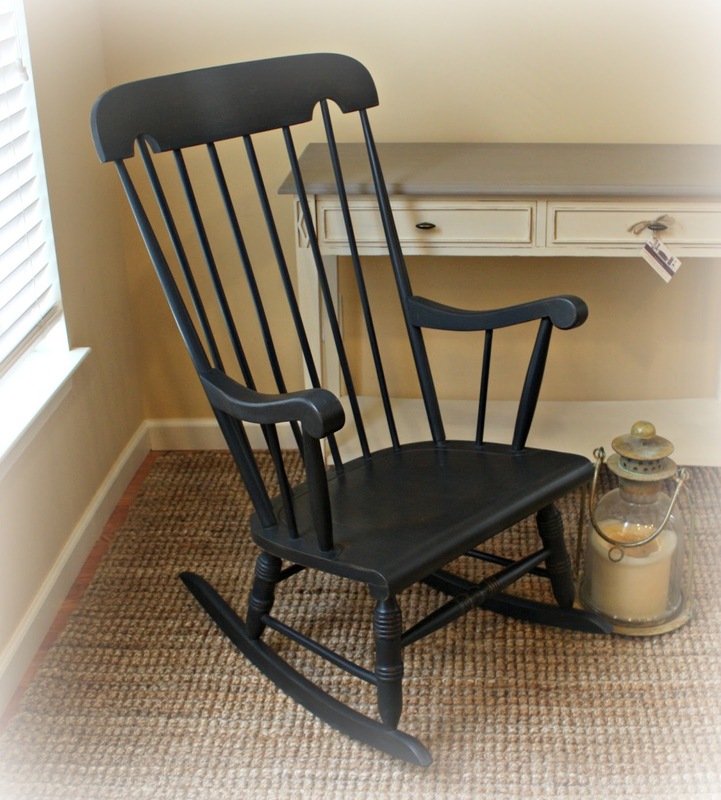 Vintage rocking chair painted in Graphite and black wax. I sanded the paint to give it a smooth finish. Sanded for a smooth finish. 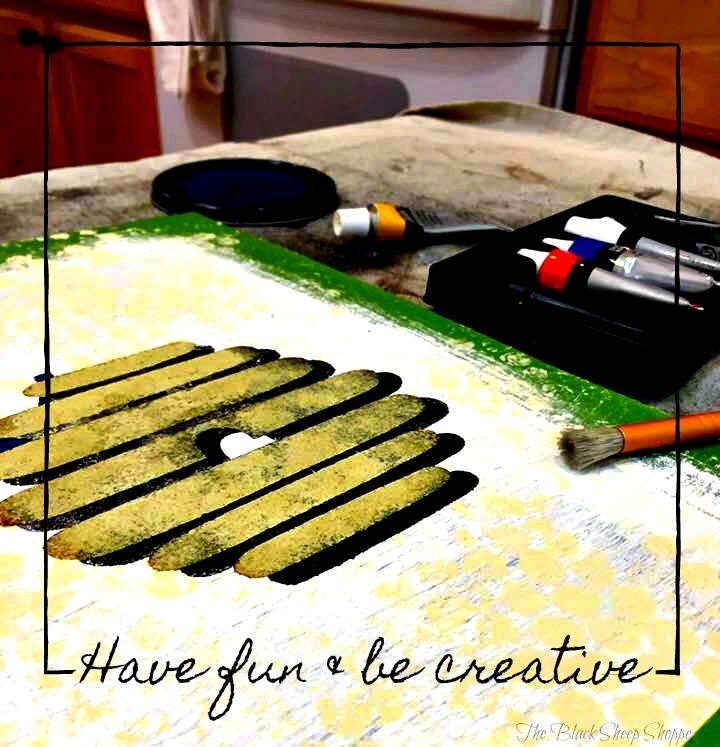 I continued to gently sand back the paint in specific areas to give it a worn finish. 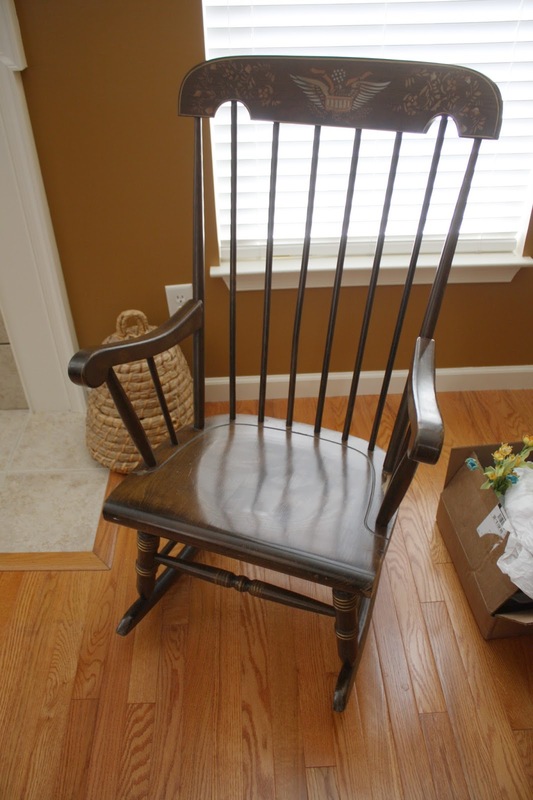 A worn finish compliments the vintage rocking chair. I didn't paint underneath the seat in order to preserve the old label.